In 2003 Kettler, a premiere residential developer in the Washington, DC region received approval by Arlington County for a master-planned community of 3,200 units. The master plan was developed by Robert A. M. Stern Architects and will include eight buildings centered on a one-acre public park. ForrestPerkins was engaged to shape the dramatic 30-foot-tall lobby gallery that includes a glass bridge. The open design draws visitors’ eyes through the building, past the concierge station, and out into the park that is a green roof over the parking garage. The sleek detailing of the lobby sets the design for the property with textured gray pavers, a large expanse of porcelain walls punctuated by a strong band of dark wood paneling and ceiling. 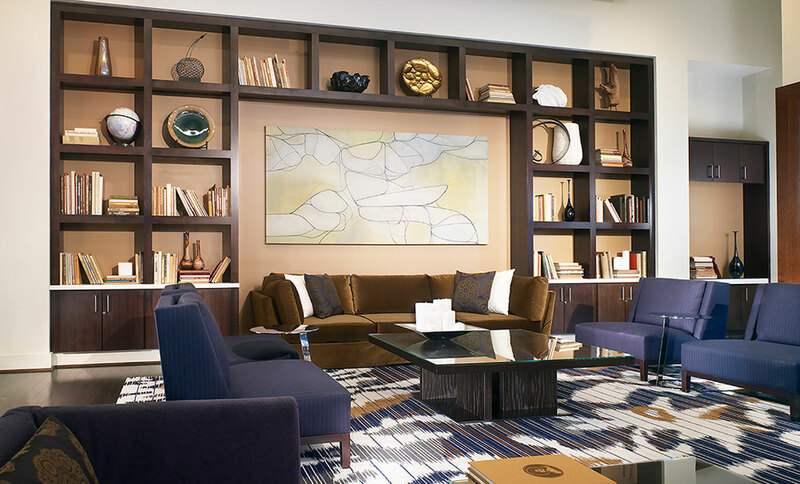 The common areas also include a handsome library and meeting room on the lobby level. 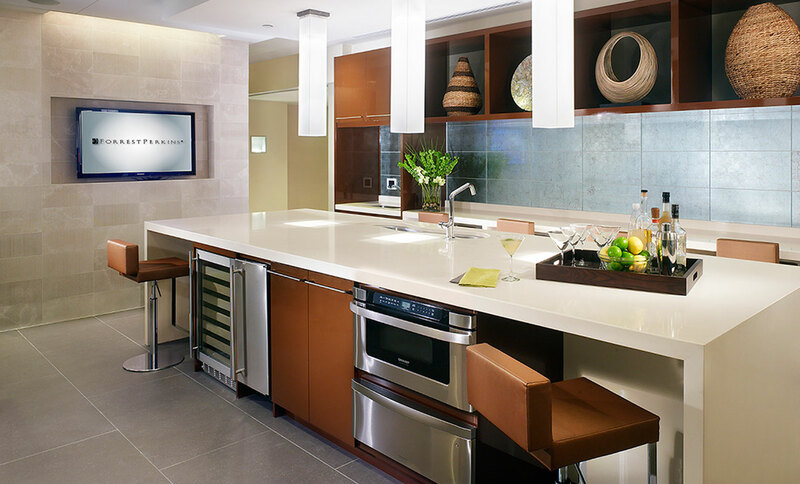 Rooftop shared areas include a spacious lounge for gathering and watching a football game or the Oscars, and an entertainment kitchen for serving drinks and hors d’oeuvres. Private spa rooms include facilities for a massage, manicure or pedicure, and a spa shower. 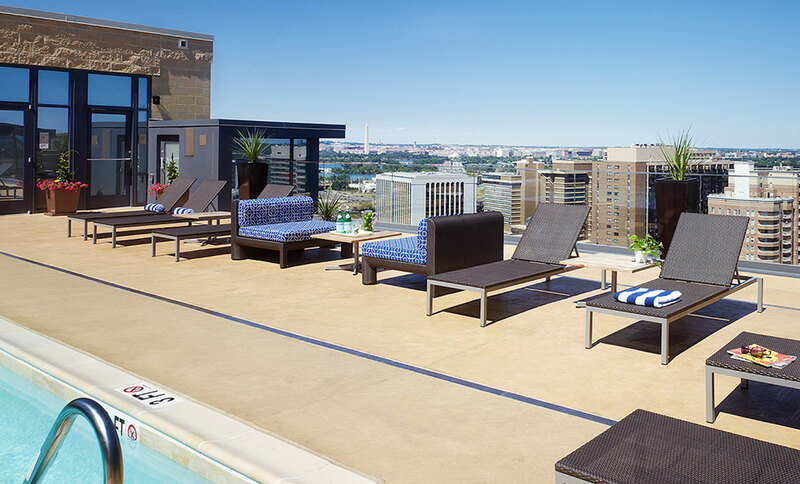 These rooftop spaces provide spectacular views of the Washington Monument, the Jefferson Memorial, the Lincoln Memorial, the Air Force Memorial, and unforgettable sunsets. The Millennium at Metropolitan Park is within a mile of downtown D.C.